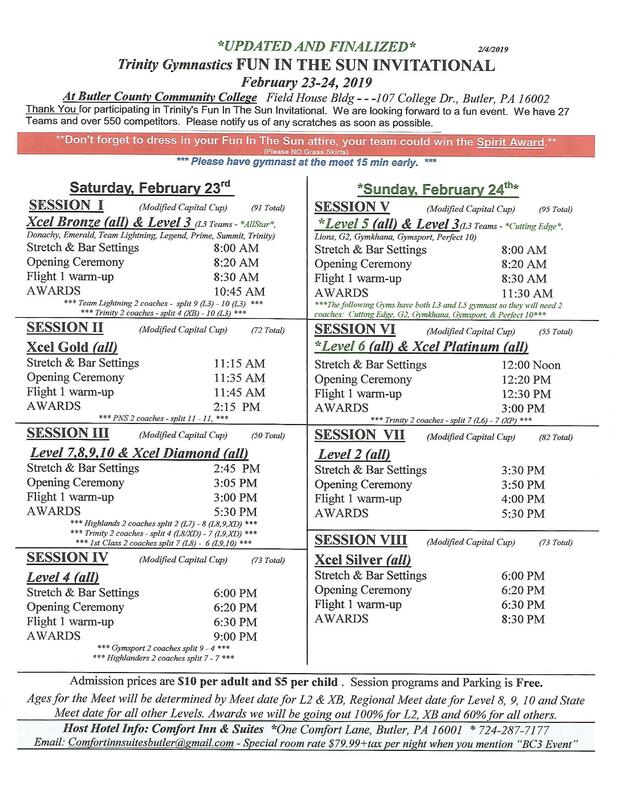 Trinity Gymnastics Fun in the Sun Meet -- February 23-24, 2019. CLICK HERE for Meet Schedule. 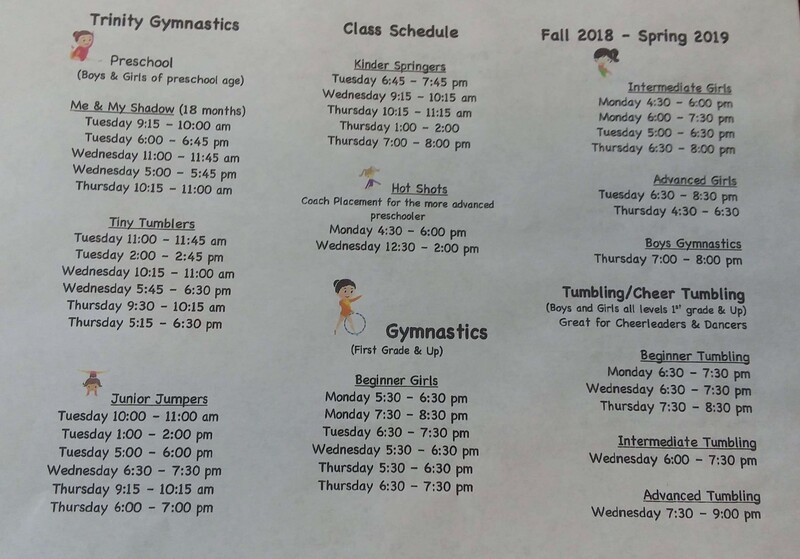 Click HERE to see our fall schedule!